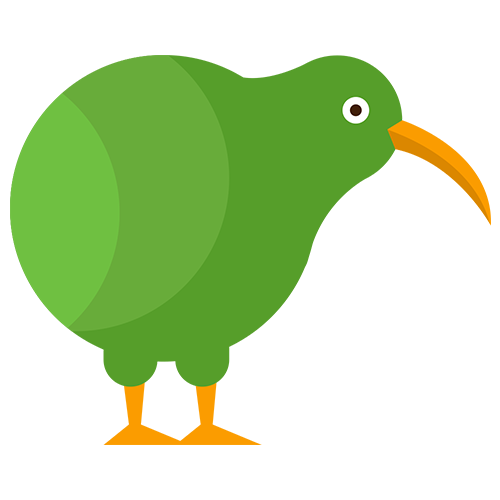 In order to get started with Kiwi in no-time, we have created a bunch of demo data and connected a Tableau Server to try everything out. Have a look at the Portal and Reporting pages. 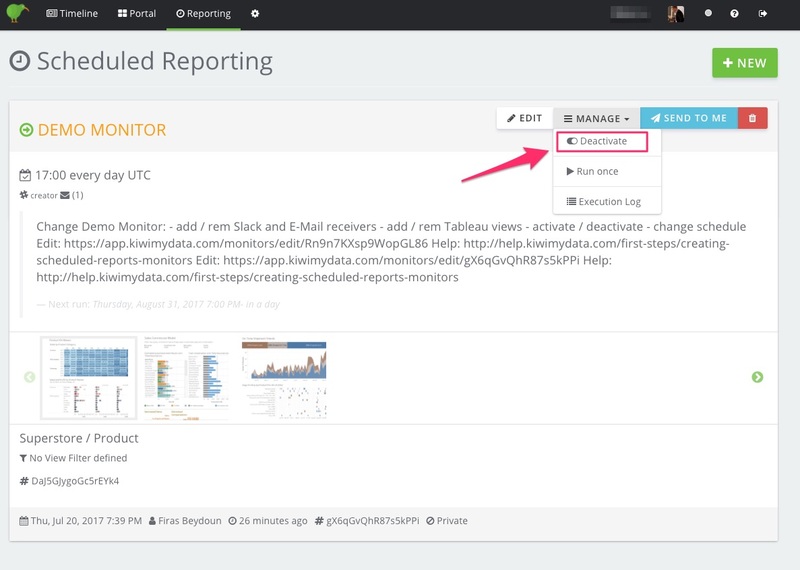 By default, there is an active scheduled report that will send an update of some Tableau views every day. Just take it as an example and turn it off if you like. To do that, go to Reporting select "manage" and "deactivate". The report will not send any more.